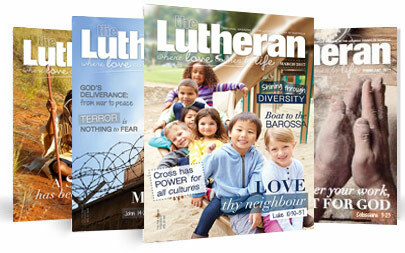 As the magazine of the Lutheran Church of Australia (incorporating the Lutheran Church of New Zealand), The Lutheran informs the members of the LCA about the church’s teaching, life, mission and people, helping them to grow in faith and commitment to Jesus Christ. The Lutheran also provides a forum for a range of opinions, which do not necessarily reflect the opinions of the editor or the policies of the Lutheran Church of Australia. The Lutheran is a member of the Australasian Religious Press Association and as such subscribes to its journalistic and editorial codes of conduct. The Lutheran was first published in January 1967, a child of the union of the Evangelical Lutheran Church of Australia (ELCA) and the United Evangelical Lutheran Church of Australia (UELCA) in October 1966. The first editor, Rev E W Wiebusch, served from 1967 to 1986. He was succeeded by Rev Robert Wiebusch (1986 – 1995) and Mrs Grace Bock (1995 – 1999). Ms Linda Macqueen was editor from September 1999 to December 2012. In 2013 she was appointed executive editor, overseeing The Lutheran and other LCA communications activities. Mrs Rosie Schefe was editor from 2013-2015. Ms Lisa McIntosh became editor in January 2016. The Lutheran is part of the LCA Communications Unit in the office of the Executive Officer of the Church. The magazine is not funded under the church’s budget. Its entire income is derived from subscriptions, advertisements and donations.